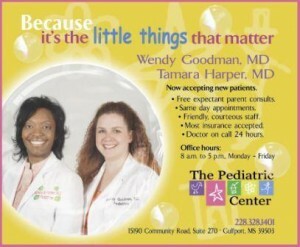 Several pediatricians staffed at The Pediatric Center at Garden Park Medical Center left the Center to open their own clinics, taking many of their patients with them. 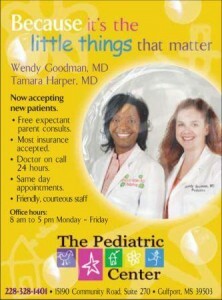 Ad2 was hired to introduce the new pediatricians and replenish the customer base. Ad2 produced a :30 television spot to engage and educate the customer on The Pediatric Center and its many amenities and convenient location. 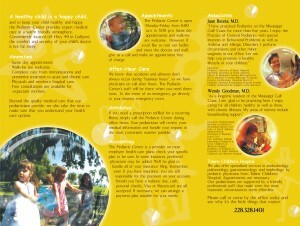 Ad2 designed a full color brochure to complement the television and introduce the pediatricians and The Pediatric Center at Garden Park to the surrounding community. 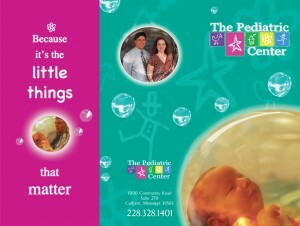 The brochures were available at the Medical Center and mailed out to expectant mothers and prospective customers. 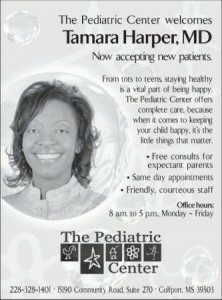 Ad2 also designed newspaper and magazine ads introducing the pediatricians and The Pediatric Center to the community through the local newspaper and Gulf Coast Woman magazine. Other components of the campaign included full-color advertising in the Yellow Pages. After only one week of the campaign launch, The Pediatric Center began receiving new appointments, and the new pediatrician was booked for a month solid prior to her employment.